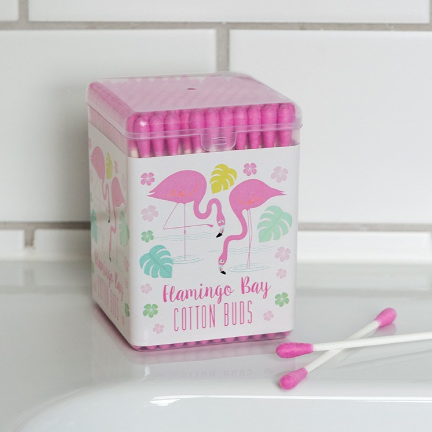 A fun little box of pink flamingo bay cotton buds. Just one of many flamingo gift ideas in stock. Have you seen the Mini Flamingo Honeycomb Garland?